June 11, The Iran Project – In an astonishing show of support and unity with the oppressed people of Palestine, millions of people taken to the streets across Iran and other countries in the world to show their solidarity with the Palestinians and censure Israel’s occupation and atrocities on May 8. Holding placards and chanting vociferous slogans, the demonstrators – men and women, young and old – strongly condemned the horrendous war crimes of Israel in Palestine and called for an unconditional withdrawal of Israelis from the occupied territories of Palestine, return of Palestinians who were forced to leave their land after the 1948 Nakba, complete ban on the construction of new settlements and immediate evacuation of existing illegal settlements. Meanwhile, Iranian embassies observed the International Quds Day on the last Friday of Ramadan around the world. Iranian embassies in Tunisia, Belarus, Slovenia, Ireland, Bosnia and Herzegovina, and Lebanon commemorated the Quds Day. Similar events were also held in London and Toronto as well as in 800 cities worldwide, which usually saw people chanting anti-Israeli slogans and burning the occupying regime’s flags. 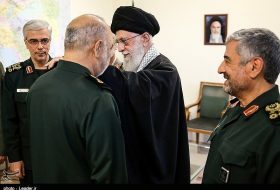 In a message on Thursday (June 7), the Iranian President Hassan Rouhani invited people to attend the International Quds Day demonstrations in large numbers, saying “Quds day is a historic day when everybody protests against tyrants and voices support of an oppressed people who have been displaced from their homes during the past 70 years,” according to the official website of Iran’s presidency. 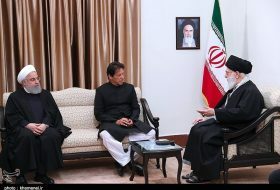 “The day when the noble people of Palestine will go back to their homes and Muslims can say prayers in Quds, as their first Qibla, is not far,” the Iranian president noted. 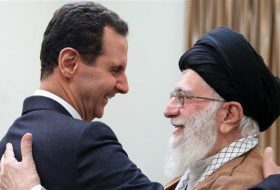 In a speech on the occasion of Quds (Jerusalem) International Day, Secretary General of Lebanon’s Hezbollah, Sayyed Hassan Nasrallah, asserted that Syria plays a pivotal role in the resistance axis, and it has been subjected to a global terrorist war over the past seven years, yet larger parts of Syria have become safe now. Nasrallah addressed the Israeli occupation entity saying the Zionists must confess that they have failed to bring down Syria, the main pillar of the resistance in the region, and that their dreams and bets on the terrorist groups are gone with the wind. 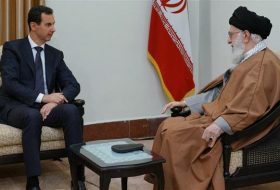 Nasrallah said that Hezbollah will leave Syria when the Syrian leadership asks them to do so. Marking the International Quds Day, Iranian Parliament Speaker Ali Larijani said the US peace plan for the Israeli-Palestinian conflict known as “the deal of the century”, which aims to obliterate the Palestinian cause, is nothing but an illusion. The Israeli regime is seeking to reach the deal of the century through the US but they are only following illusions in this plan, Larijani said. “They (the US and Israel) want to remove the obligations that the United Nations (resolutions) has defined for Israel…,” he noted. They want to remove the Zionist regime’s obligations that the Palestinian refugees should enjoy the right to return to their homeland and that the Israeli settlements should not continue in the West Bank, the Iranian parliament speaker went on to say. Speaking to reporters while attending a massive anti-Israeli rally in Tehran, Chief of Staff of the Iranian Armed Forces Major General Mohammad Hossein Baqeri said the recent move by the US administration to relocate its embassy from Tel Aviv to al-Quds (Jerusalem) would facilitate the collapse of the Zionist regime of Israel. Major General Baqeri pointed to the high turnout in the demonstrations and stressed the rallies have made the unity of Muslims “more visible”. 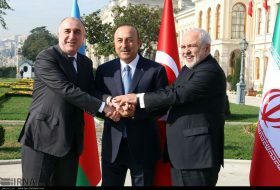 The unity proves that “the game” that the US has played by relocating its embassy to Quds has not been able to damage the cause of Muslims (the liberation of Palestine), he noted. “The responses by Ezzeddine al-Qassam Brigades during the past week, and targeting the Zionist military bases and strongholds proved that the occupied territories have become unsafe and fragile for the Zionists, and the dream of making the territories secure for Jewish European migrants and other occupiers is just an illusion,” he stated. The massive Quds Day rallies in Iran have highly reverberated across the global media. 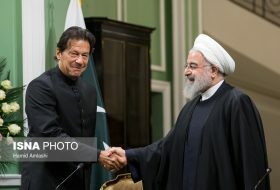 “This year, in addition to being the 70th anniversary of the occupation of Palestinian land, we are witnessing that Jerusalem, which is respected by all Muslims, has been announced as the capital of the occupying Zionist Regime by the United States against all international rules and regulations,’ President Rouhani was quoted as saying by the UK-based daily. 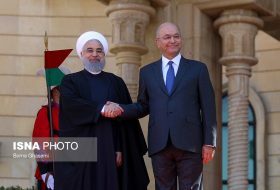 “This year, we are also witnessing more tyranny and crimes against the oppressed people of Palestine, especially the residents of Gaza,” it added, quoting the Iranian President. 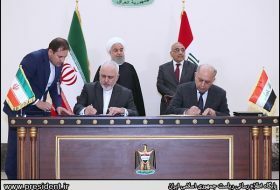 According to Russia’s Sputnik News Agency, “On Friday thousands of people took to the streets of numerous Iranian cities to express their support for the Palestinian state and condemn the violence that occurred during the Great March of Return, as well as the US move to relocate its embassy to Jerusalem. 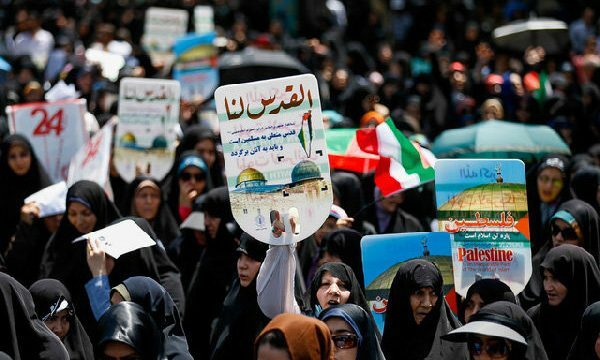 In a meanwhile, Xinhua wrote that the Tehran angry protestors flocked to the streets carrying placards and banners demonstrating their anti-US and anti-Israel sentiments and shouted slogans in the support of Palestinians. “Al-Quds (Jerusalem) belong to the Muslims and will remain Islamic,” the demonstrators said. For sure, the cause of Palestine is considered as important issue of Islamic world and should not be forgotten and the US move to call Al-Quds (Jerusalem) the capital of Israel will doom to failure eventually.